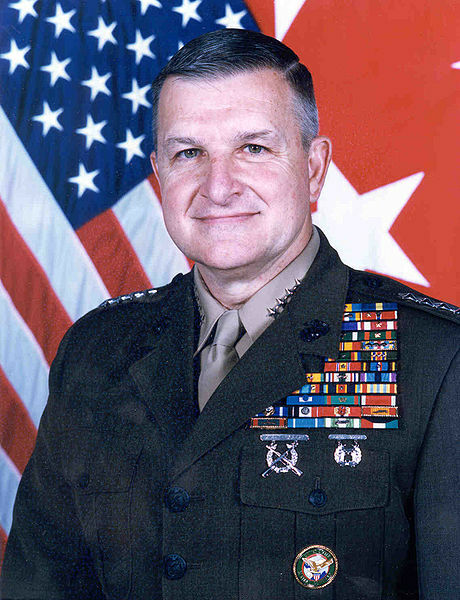 We wish to extend a very warm welcome to the newest member of our Advisory Board, General Anthony C. Zinni, United States Marine Corps (Retired). General Zinni has had an extraordinarily distinguished career in the armed services, in diplomatic and foreign policy posts, business, academia, and public service. General Zinni retired from the military in 2000 after commanding the U.S. Central Command. He brings a wealth of experience on a broad range of topics, and we look forward to his contributions to our work on addressing the security implications of climate change. Click here for an extended biography. By Francesco Femia & Caitlin Werrell in climate and security on July 18, 2012 .